Kevin is a Board Certified Sports Clinical Specialist, certified in Active Release Therapy and a Certified Dry Needling Specialist. Kevin earned a bachelors in allied health sciences from University of Connecticut and was accepted in to their doctorate in Physical Therapy program. Kevin has been apart of the Performance team since 2012 and is the director of our Darien location. 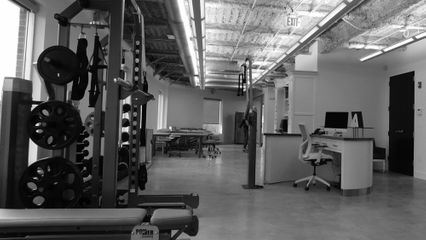 Jonathon Mendola PT, CSCS is a physical therapist and strength and conditioning specialist based out of our Darien location. Jonathon completed his Bachelors in Science in Health Science Studies at Quinnipiac University and went on to earn his Doctorate in Physical Therapy there in 2015. Jonathan completed a series of rigorous affiliations, including a rotation at the United States Military Academy at West Point, working with military cadets and retired military veterans. He also worked with top rehab physicians and therapists at Keller Army hospital. We are thrilled to have Jonathon on the Performance team! Benny is a physical therapist based out of our Darien and Stamford locations. Benny graduated from Northeastern University with a Bachelor’s Degree in rehab sciences and went on to earn his Doctorate in Physical Therapy there as well. He has experience working with a number of high school and collegiate athletes and completed clinical affiliations at Scarsdale High School and Manhattanville College. Benny is passionate about working with all athletes and plans to expand his expertise in golf-specific training and performance.